The Marina Bay district in Singapore has went through a lot of transformation from her early days of land reclamation around the area. Today, Marina Bay Singapore has metamorphosised into a modern cosmopolitan district filled with many different fun, activities and events for all age groups. Having photographing and documenting Marina Bay Singapore (from 2007 till date) events, landscapes and activities, I was able to capture some of the transformations in Marina Bay Singapore over the past few years in my Flickr collection. 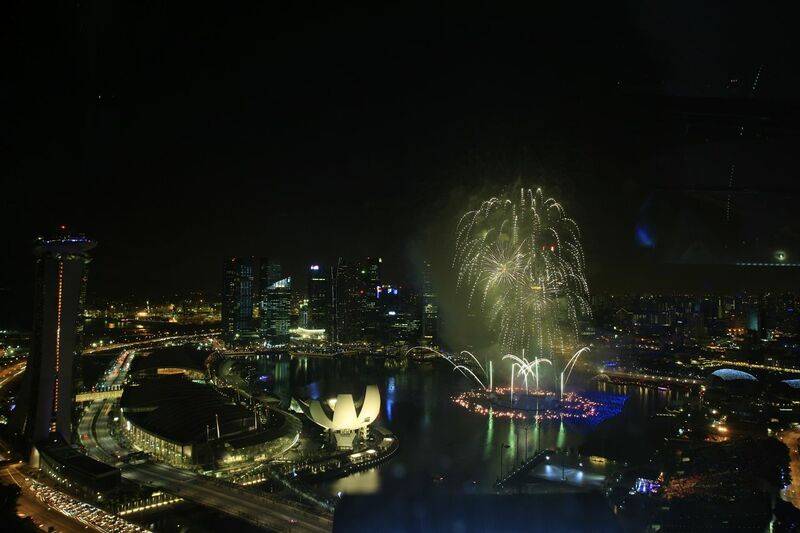 On the 3rd November 2012 to 3rd December 2012, there will be a showcase on Marina Bay Singapore, what is all about ? Located at the heart of Singapore’s city centre, Marina Bay is the centrepiece of Singapore set to be a thriving 24/7 destination with endless exciting events and a necklace of attractions where people from all walks of life come together to live, work and play. This photography exhibition showcases the different facets of the Marina Bay precinct through over 100 enthralling photos taken by 20 of our beloved AmBAYssadors made up of Singapore’s popular bloggers and photographers. Heritage is very much part of the precinct’s foundation, captured in key historical landmarks such as Merlion Park and Collyer Quay. An interesting Street Museum section chronicles Marina Bay’s story over its first few decades since the 1960s, telling a story of strategic, far-sighted and meticulous planning and committed engagement to reach its present state through archive photos superimposed on its modern-day context. Join us during the month-long event where every weekend is full of exciting activities such as heritage walks and photography workshops led by our very own AmBAYssadors. We want you to be part of Loving Marina Bay too – submit a photo taken at Marina Bay anywhere, anytime to win prizes; or simply pen a Love Note to your family/friends, drop it into the red pillar post boxes at The Fullerton Hotel and we will send it anywhere in the world for you! Visit www.marina-bay.sg/lovingmb for details. It’s going to be a very interesting and exciting photography exhibition, along with exciting activities such as heritage walks and photography workshops led and conducted by my fellow photographer friends. Here’s Marina Bay Singapore Facebook Page and you can keep up with their exciting activities and events from there too! 2NE1 Surprise Pre-Concert in Singapore!